A solid state device using optical isolation and independent power supplies to achieve a high degree of isolation from input to output. Essential in large installations where earth potential differences introduce video "hum bars", or as a security device when interfacing to critical facilities such as outside broadcast. 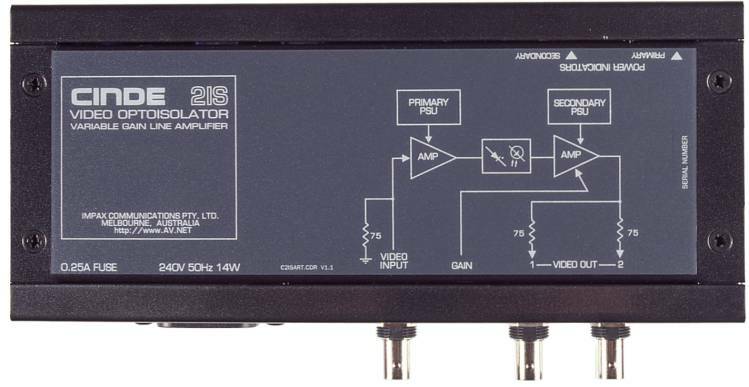 Cable compensation, selectable by DIP switches, for cable runs to 400 metres. 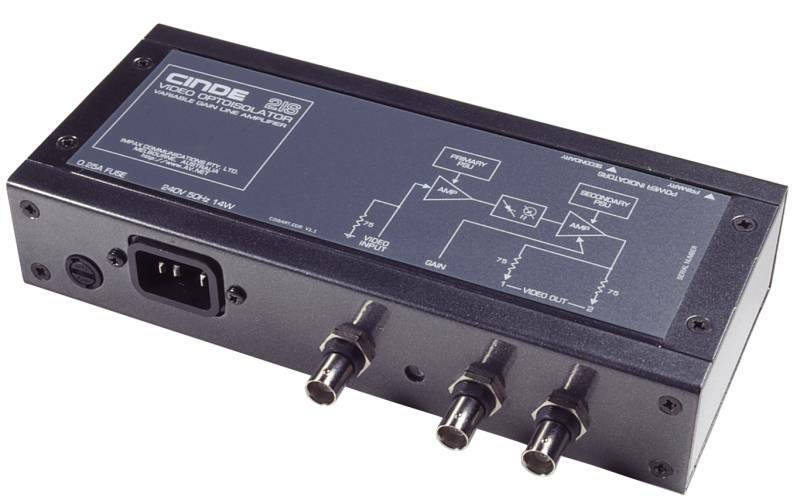 Built-in distribution amplifier provides 3 identical outputs.